Small in stature and mechanically adept, pit droids scurry to service Podracers in the height of competition. 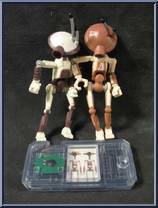 Contribute pictures, update details or suggest corrections for Pit Droids (2-Pack). 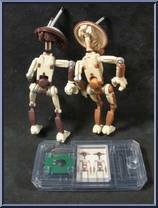 Write a review about Pit Droids (2-Pack).